With the trade deadline fast approaching, we will be taking a closer look at the situation for each team over the coming weeks. Where do they stand, what do they need to do, and what assets do they have to fill those needs? As we continue to examine the Pacific Division, here is a look at the Arizona Coyotes. Team A is in a four-way tie for eleventh place is their conference. Team B has a points percentage only marginally less than the final wild card team in their conference. Most would say that Team A should be a seller at the deadline, while Team B should be a buyer. Well, Team A is the Arizona Coyotes and Team B is also the Arizona Coyotes. At 51 points through 53 games, Arizona is tied with the Edmonton Oilers, Anaheim Ducks, and Chicago Blackhawks in the Western Conference wild card race, though technically they lead the group. One game in hand separates them from the Ducks and Hawks, while a single regulation/overtime win currently gives them an edge over the Oilers. At the same time, the Coyotes’ .481 points percentage only narrowly trails the 8th-place Vancouver Canucks and 10th-place Colorado Avalanche, who are both .500 teams. The truth of the matter is that six points separate all eight teams in pursuit of the second wild card berth in the West and Arizona is right in the middle of a race that gets more complicated with each day. So which way do GM John Chayka and the Coyotes go? The St. Louis Blues currently look like the team to beat for the final postseason spot, but the Avalanche have been in the playoff picture all year and the Blackhawks are winners of five straight. Can Arizona really compete with those teams? Despite the proximity of the teams in the Western Conference playoff race, the ’Yotes still lack great odds of making the playoffs and, even if they did sneak in, would be severe underdogs without much of a chance in the first round. Between a rash of injuries and inconsistent scoring, this just doesn’t seem like the year for Arizona’s triumphant return to the postseason. There are many good pieces in place, both veterans and young contributors, but the Coyotes would be better served simply entertaining offers for their impending free agents and expendable parts and keeping their sights set on next season. Derek Stepan? Alex Goligoski? Niklas Hjalmarsson? These names just aren’t out there on the rumor mill, as the Coyotes seem happy with their veterans and aren’t willing to move them while term remains on their contracts. 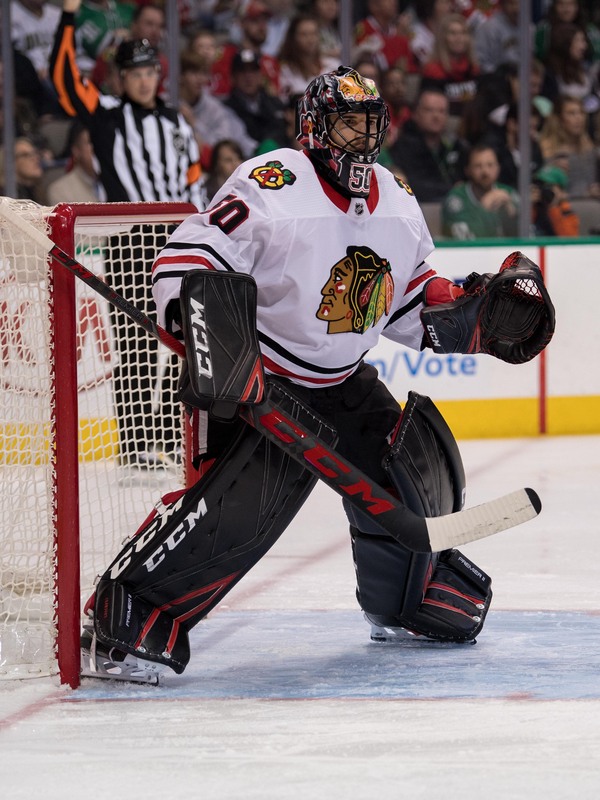 There is a lot to like about the core that Chayka and company have put together, but it simply hasn’t had the opportunity to shine this season due to injury issues with the likes of Nick Schmaltz, Michael Grabner, Jakob Chychrun, Christian Dvorak, Antti Raanta, and more. Looking ahead to next year, the Coyotes on paper have a top-notch goalie tandem, a deep and diverse defense, and a mix of skill and experience on offense that could help to solve this season’s scoring issues. The team seems unlikely to want to interfere with the potential they see in next season’s squad, which will eliminate many of the names that buyers are most interested in. However, there are more than a few impending UFA’s or spare parts that the Coyotes should be willing to move. At the top of that list is forward Richard Panik. Panik, 27, is on pace to match his 35 points from last season when he came over to the Coyotes from the Chicago Blackhawks at mid-season. Yet, he has been less effective and less efficient at both ends this season despite more play time than his second-half stint last year. A fit in Arizona that once looked ideal for Panik is now unlikely to be a long-term home and the Coyotes should be more than willing to move the upcoming free agent. Panik will be an affordable, versatile depth addition for a contender and should draw ample attention. The only other Coyotes forwards approaching unrestricted free agency are Jordan Weal – who has disappointed since coming over from the Philadelphia Flyers – and Mario Kempe, neither of whom are likely to attract much interest. There are others up front who Arizona will listen on, though. Nick Cousins, an RFA this summer, has failed to make the most of opportunities throughout the lineup this season and should be a player that the Coyotes are open to move on from at the right price. Josh Archibald, another RFA, is already 26 and may not be a player that Arizona sees as a long-term piece. He would be another affordable depth addition for a playoff-bound team. On the back end, Jordan Oesterle has played admirably for the Coyotes this season, but the 26-year-old UFA-to-be is likely nothing more than an extra man if he stays in Arizona moving forward. He would probably prefer to begin that role early this season for a contender than stay in the desert. Oesterle has proven this season that he can step in and be an effective defender and he seems very likely to move if any playoff team comes calling. The more difficult decision for the Coyotes is in regards to Kevin Connauton. At full strength, Arizona does not need Connauton as a top-four defenseman next season and, like Oesterle, he may even become the seventh defender on that blue line. Yet, he is signed through the end of next year at a great price, even as a depth option. Even though his offense has fallen off this season after an impressive 2017-18 campaign, Connauton and his team-friendly $1.375MM cap hit could be appealing to any number of teams if the Coyotes are willing to give him up. AHLers Dakota Mermis, Robbie Russo, and Dysin Mayo are all likely up for grabs as well if any team wants to really deepen their options on the blue line. 1) NHL-Ready Forward Prospects: It’s hard to truly gauge what the Coyotes needs are moving forward since their performance this season is so skewed by injuries and an ever-changing lineup. Their 28th-ranked offense should improve next season with full seasons from Schmaltz, Dvorak, and Grabner and the chemistry impact that consistent lines will have. Nevertheless, 2.60 goals per game is a bad mark and adding some more young scoring options to the mix certainly won’t hurt. The Coyotes aren’t exactly selling elite talent at this deadline, but if they can land some pro-ready forwards in lieu of draft picks, that would be ideal. Barrett Hayton cannot be the only impact forward in the Arizona pipeline, but there aren’t any other apparent options who could step in next season. Center depth is a clear need, but any capable, young forward will help. 2) Draft Picks: The Coyotes are not the same rebuilding team they were just a couple of years ago, but that doesn’t make building for the future any less important. Chayka and company seem content to move forward with their current core, but need to establish the next wave behind them. Hayton is leader of that prospect core, but his supporting cast right now is unspectacular. If pro-ready prospects aren’t being offered up by sellers, adding draft picks this season can help add to the pipeline. It is a deep draft and even third- and fourth-rounders could yield impact players in June. The regular season is about to begin and with it comes the regular season trade market, which can be both a continuation of long-term team building or more reactionary measures to combat injuries or a slow start. One team that seems likely to be included in early trade conversations are the Arizona Coyotes. The ’Yotes have the pieces, the motivation, and most importantly, the roster crunch that should make them a prime candidate to acquire one of the first major pieces to hit the trade block. Entering the 2018-19 season, Arizona is the only NHL team that is at the league’s 50-contract limit. A handful of other teams sit at 48 or 49 players signed, but the Coyotes are the only club right up against it. In fact, the Coyotes actually have 52 players under contract, according to CapFriendly. The contracts of recent first-round picks Barrett Hayton and Pierre-Olivier Joseph won’t count against the limit, once both are returned to their respective junior teams, but as of now Hayton remains on the roster. Presumably, Hayton must be returned to juniors. The fact that the Coyotes cannot even make such a simple roster decision exemplifies the inflexibility that the team struggles with. Solving this dilemma ahead of NHL Trade Deadline or college free agent rush later in the season will be a task on the forefront for GM John Chayka and company. Fortunately, Arizona is set up well to make an “all-for-one”-type deal. The Coyotes have one of the youngest rosters in the league, specifically up front, where the depth of talent in 25-and-under forwards runs well into the minor league ranks. Regardless of who makes the Opening Night roster for Arizona, the team will have two or three well-regarded forward prospects playing for their AHL team in Tuscon seemingly for much of the year. It’s a simple fact of life that not every promising player can see substantial NHL minutes, but can the Coyotes really afford to be wasting talent? Arizona has not qualified for the playoffs since they went by the name “Phoenix”. The team last saw postseason action in 2011-12, the third-longest drought in the league. The Coyotes have only made the playoffs three times total in the post-lockout salary cap era. Fans are clamoring for a change in fortunes and while the ’Yotes have been considered an up-and-coming team for years now, the rebuild simply hasn’t panned out. 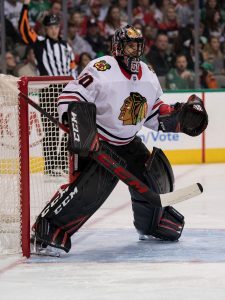 The administration has shown more of a willingness to make changes recently, investing in contender-caliber tandem of Antti Raanta and Darcy Kuemper, trading for veterans like Niklas Hjalmarsson, Jason Demers, and Derek Stepan and even signing sought-after hired gun Michael Grabner. The Coyotes are starting to build a roster that structurally looks more like a contender than the past few seasons, while maintaining a low salary cap hit. However, they need to get out from under this roster limit issue and an easy way of doing so would be to package several of their minor league forwards for a veteran name on the rumor mill. Some may still want to take the slow, cautious approach and see the rebuild through, but after seven years without a playoff game and a Chayka administration that has seen too few top prospects pan out, the pressure is on in the desert. A slow start, even if it caused by an Alex Galchenyuk injury absence or adjusting to game speed for players like Jakob Chychrun, Christian Dvorak, and several new faces, could be enough to pull the trigger on such a deal. Considering all the variables in favor of making a trade, it would be no surprise to see the Coyotes active on the trade market early this season. June 30: Hjalmarsson will ink a two-year deal worth a total of $10MM, reports Sportsnet’s Elliotte Friedman (Twitter link). June 23: The Arizona Coyotes have reportedly reached an extension agreement with veteran defenseman Niklas Hjalmarsson, which can’t be signed until July 1, according to AZ Sports Craig Morgan. No terms have been announced yet. The 31-year-old blueliner was brought in last season to provide a veteran presence to Arizona’s defensive core, but most especially to guide countrymate Oliver Ekman-Larsson, who at the time was considered a question as to whether he wanted to stay in Arizona. However, now that Ekman-Larsson has verbally agreed to an extension, the team didn’t take long to lock up Hjalmarsson. 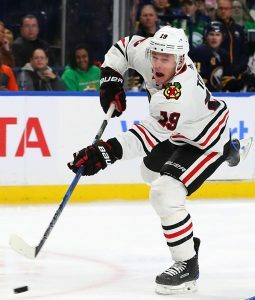 The team displayed interest back in March to bring back Hjalmarsson, who is in the final year of a five-year, $20.5MM deal he signed with the Chicago Blackhawks in 2013 at $4.1MM per year. After being traded last offseason to Arizona for Connor Murphy and prospect Laurent Dauphin, the stay-at-home defenseman struggled with injuries and played in just 48 games, putting up nine points. However, that was evidently enough for the team to extend him for more years beyond next season.